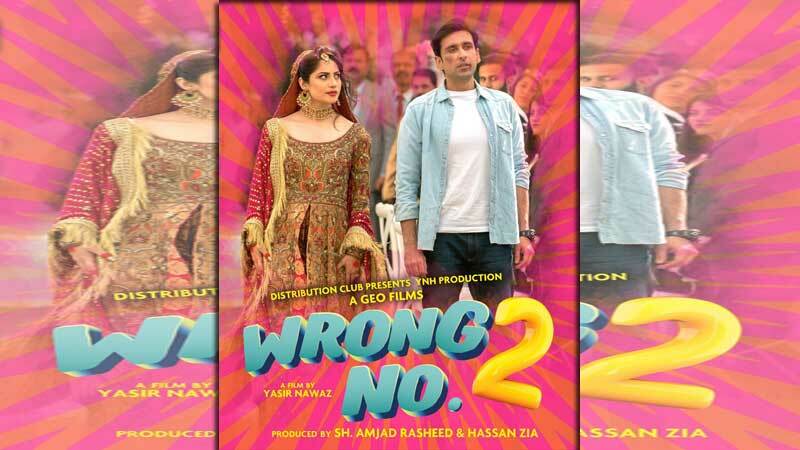 One of the season’s most awaited comedy film Wrong #2’s official trailer has been released nationwide. Directed by the famous Yasir Nawaz and produced by Hassan Zia, Amjad Rasheed, Irfan Khosat and Arshad Khan, the film is expected to be an adventurous rollercoaster ride of romance and emotions, coupled with fits of laughter. ‘Wrong #2’ boasts of a power-packed cast of all of the industry’s most famous talent. It stars the gorgeous NeelumMunir and the brilliant Sami Khan as leads actors, along with the legendary Javed Sheikh, Danish and Yasir Nawaz, Ahmed Hassan, Shafqat Cheema, Sana Fakhar, and many others. The film centres around Zoya, a young, rich girl, who catches the eye of Umar, her businessman father’s personal assistant’s son, along with a couple of other love interests that get involved in between. In a whirlpool of troubles, confusion and myriad complications, the film is a challenge on whether true love can conquer all obstacles or not. The screenplay of the film is by Yasir, while Danish Nawaz is the mastermind of the story. All the rib-tickling dialogues in ‘Wrong #2’ have been authored by Ahmed Hassan. The minute and a half long trailer that has been released promises a fun and fast-paced film with some powerful dialogues and upbeat music to compliment it. NeelumMunir looks stunning in her rich-girl attire, while Javed Sheikh’s dialogue delivery as expected, seems to be completely on point.